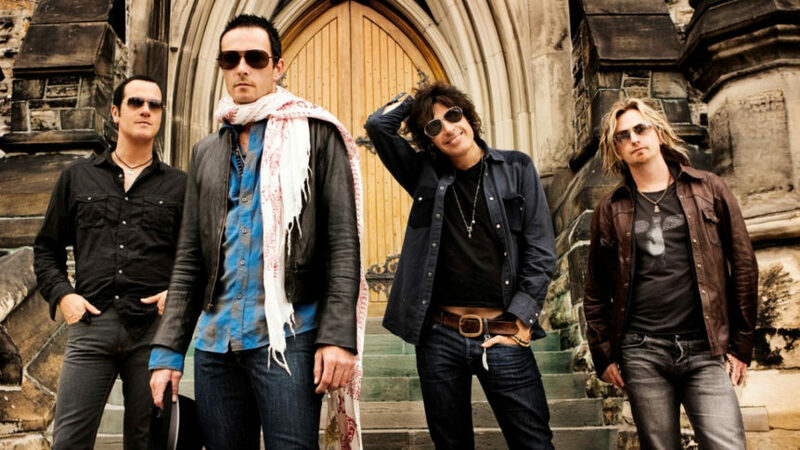 Stone Temple Pilots (sometimes abbreviated as STP) is an American rock band from San Diego, California, that originally consisted of Scott Weiland (lead vocals), brothers Dean (guitar) and Robert DeLeo (bass, backing vocals), and Eric Kretz (drums). From the band’s formation in 1989, its line-up remained unchanged until the firing of Weiland in 2013, who was replaced by Linkin Park vocalist Chester Bennington. In 2015, Bennington left the band to focus solely on Linkin Park. On December 3, 2015, Weiland was found dead on his tour bus before a performance with his band The Wildabouts. In 2016, the band launched an online audition for a new lead vocalist. After forming in 1989 under the name Mighty Joe Young, the band signed with Atlantic Records and changed its name to Stone Temple Pilots. The band’s debut album, Core (1992), was a commercial success, and they went on to become one of the most commercially successful bands of the 1990s. The band released four more studio albums: Purple (1994), Tiny Music… Songs from the Vatican Gift Shop (1996), No. 4 (1999) and Shangri-La Dee Da (2001), before separating in 2002, after which the band members partook in various projects (most notably Velvet Revolver and Army of Anyone). The band eventually reconvened in 2008 for a reunion tour, released a new self-titled album in 2010, and actively toured until Chester Bennington’s departure. The band’s only material with Bennington was the EP High Rise in 2013. While initially rising to fame as part of the grunge movement of the early 1990s, further releases from the band expressed a variety of influences, including psychedelic rock, bossa nova and classic rock. The band’s evolution throughout the 1990s and early 2000s involved several tumultuous periods of commercial highs and lows, brought about in part by Weiland’s well-publicized struggles with drug addiction.